The most wonderful time of the year for LAN partygoers, esports followers and Bethesda fans alike – QuakeCon 2018 – is only a day away! To ring in the weekend with flair, we’re offering something special just for you Quake Champions players. 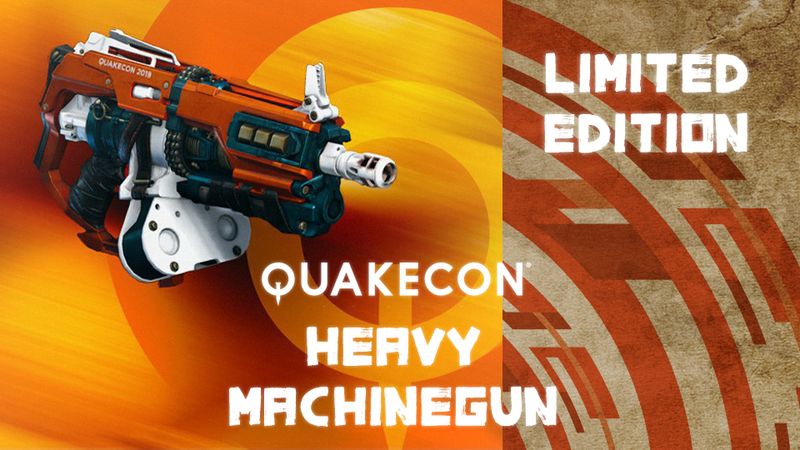 Players who log in to Quake Champions from August 9 through August 12 will receive an exclusive QuakeCon 2018-themed Heavy Machinegun skin! Additionally, through to August 31, Quake Champions players will also receive an extra heaping of rewards just for logging in. 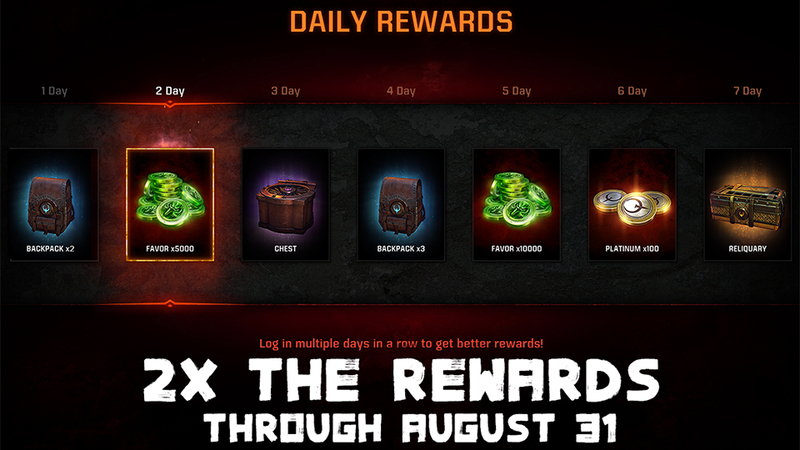 That’s right – daily login rewards are doubled starting August 9 for the remainder of the month! We’re also giving away a bevy of in-game goodies for Quake Champions, The Elder Scrolls Online and The Elder Scrolls: Legends just for catching our QuakeCon 2018 livestream on Twitch.TV/Bethesda. Be sure to tune in – we’ve still got some more surprises in store!